The silver tarp is the highest quality tarp that we carry, and can wear up to 10 times as long as the blue tarp, please take this into consideration before your purchase, when covering something of great value, the silver tarp is always the best choice. 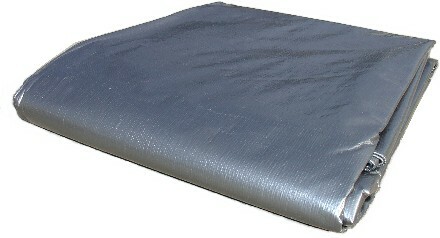 This is the best selection of tarps anywhere, and any tarp can be shipped to you quickly at B & G ‘s always low prices. We stock enough sizes to cover anything from the elements. Larger size tarps are in great demand, and certain times of the year there can be up to a 2 week wait for certain sizes, so get your order in quickly to make sure what you have to cover isn’t left out in the rain.